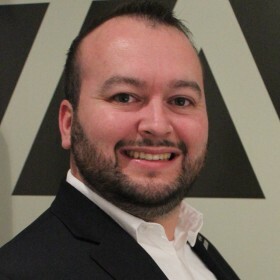 My name is Anthony Pike, an Iraq War veteran and the Field Director at Iraq and Afghanistan Veterans of America (IAVA). On behalf of Iraq and Afghanistan Veterans of America’s 400,000 members — 10,000 of whom reside in New York City — I would like to extend our gratitude for the opportunity to share our thoughts on recognizing this and every June as Post Traumatic Stress Disorder (PTSD) awareness month in New York City. 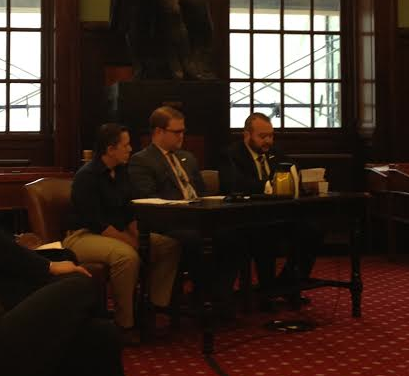 Before I begin my testimony I would like to thank Chairman Ulrich, Commissioner Sutton and other key partners in the veteran community for their leadership in bringing this issue to the forefront. Last week I stood on the steps of City Hall with many of the people in this room to highlight the importance of raising awareness of PTSD. I come before you again today equally as resolute on this topic and urge this committee to adopt the proposed resolution. 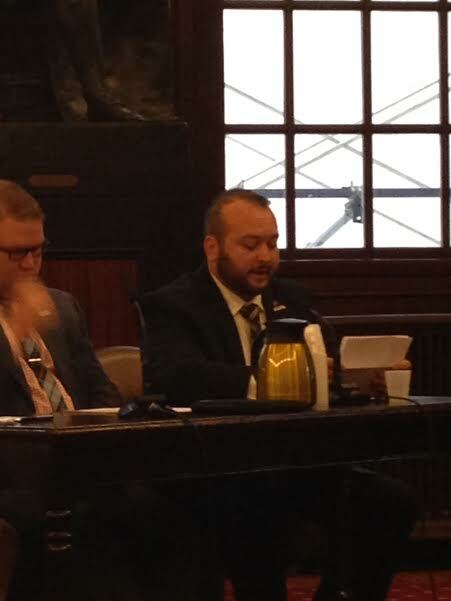 New York City is in a unique position to become a municipal leader on veterans’ issues. It is crucial that the City Council and Mayor take substantial action to implement benefits and services for veterans around employment, education, and health care. These three priority areas directly impact the lives of our members, the growing body of veterans from the post-9/11 wars. 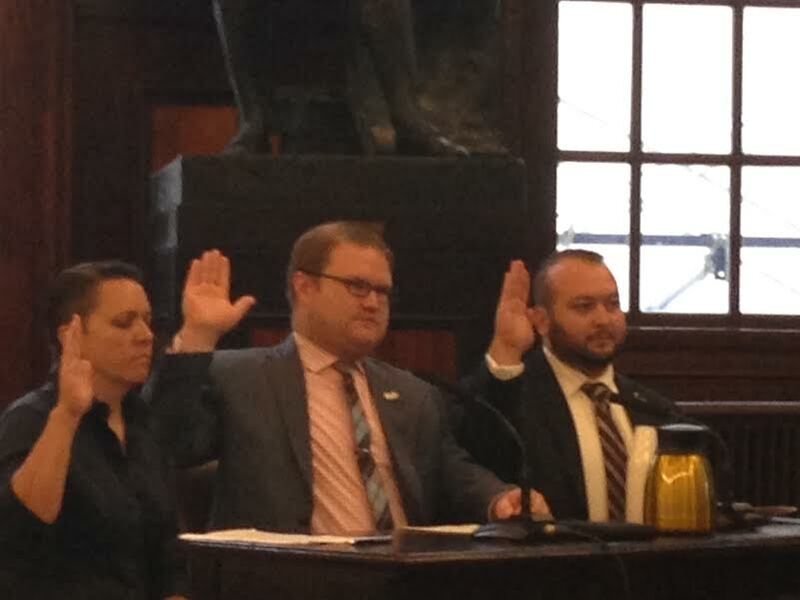 This is why IAVA supports the City Council Bill introduced by Councilman Eric Ulrich to establish a Department of Veterans Affairs within the New York City government. The establishment of a dedicated, fully funded Department would also make our city a leader in addressing PTSD and combating veteran suicide. PTSD has long impacted veterans from all wars. But with well over 2.8 million veterans from the Iraq and Afghanistan wars, PTSD has become a massive public health issue that no American, or New Yorker, can ignore. An estimated 20 percent of Iraq and Afghanistan veterans are diagnosed with PTSD or depression, and most civilians are unaware that 22 veterans take their own lives each day. These numbers highlight how critical it is that we have integrated systems, at the city, state and federal levels to seamlessly connect our veterans to support, both in moments of crisis and as they transition back to their lives stateside. Mental health care access and suicide prevention are key priorities for IAVA. While it is important to avoid stereotyping all veterans, today’s resolution emphasizes the need for those who are suffering to receive support. IAVA works to connect vets to the help they need, when and where they need it, through our Rapid Response Referral Program. Our team of trained case managers connects veterans to a range of services as they transition from military to civilian life. And for those who are suffering from the hidden scars of war, we let them know they are not alone. Stepping forward to seek mental health care is a sign of strength and also one of the most effective ways to reduce the risk of suicide. This is why it is critical for services to be swift in responding to veterans when they do come forward. All too often, veterans tell us stories of disjointed services – of moments when they asked for help only to be met with red tape and bureaucracies and confusion of care. One of our veteran members from New York who recently came to IAVA in crisis told us of her frustration and hopelessness in trying to access care when she was not taken seriously. We were able to connect her with the Veterans Crisis Line and to someone who understood and was able to help. Since connecting this veteran to support, she has been going to counseling weekly and reports learning new coping skills in managing her PTSD. While IAVA works to connect returning service members with support, we are also tireless advocates on the policy front. In February we were at the White House as President Obama signed into law a bill named after a friend of mine: the Clay Hunt Suicide Prevention for American Veterans Act. This historic bill will save countless lives by improving access to quality mental health care. With proactive efforts to implement the Clay Hunt Act and to continue emphasizing a holistic, long-term approach to mental health at the city level, we can ensure veterans no longer slip through the cracks of our existing services. Thank you again to Councilmember Ulrich for your tireless efforts on behalf of our veterans, and we look forward to continuing to work with all of you to ensure our veterans suffering from PTSD and depression know they are not alone. As Field Director, Anthony manages local events, leadership cultivation and member experiences. Anthony enlisted in the Marine Corps in March 2000. He served his first Iraq tour in Baghdad beginning in January 2004. In March 2006, Anthony deployed for a second tour to Ramadi, Iraq. He recently completed his bachelor’s degree in Aviation at Westminster College in Salt Lake City.